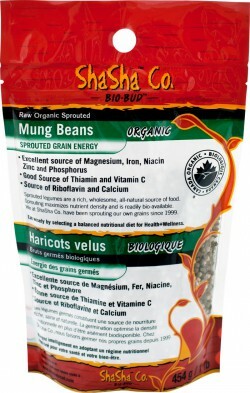 Bio-Bud Mung Beans salad | ShaSha Bread Co.
Garnish with toasted pumpkin seeds, chopped parsley and scallion onion. Dressing: 1/3 cup apple cider, 2/3 cup olive oil, half lemon juice, salt, grounded fresh pepper. Blend cold and refrigerate till usage. Dressing can be added last minute.